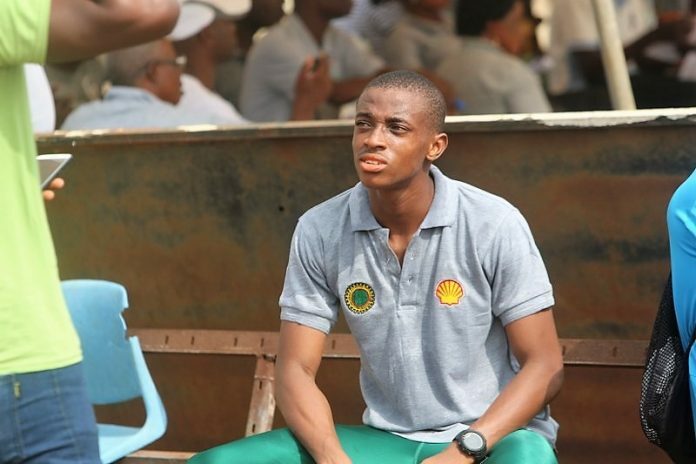 Less than a year after missing out from the Nigerian team to the African Youth Games (AYG) in Algeria, Shell-sponsored Favour Ekpekpe has now been presented with an opportunity to represent the country after making the 86-man list to the African U20 Championships in Ivory Coast. 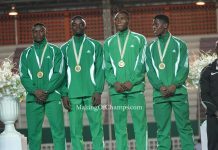 Having won the 200m National Junior title at the National U20 Championships in Ilaro with a new Personal Best (PB) of 21.44s, Ekpekpe was the undisputed first pick in his event when the list was announced. It comes as a big relief for the 18-year old who came close to making his first bow for Nigeria in 2018 when he was one of the athletes called up to the National Camp in Abuja, spending one month in the capital alongside other athletes from across the country. The experience he earned during that short stay in camp helped prepare him for this year, knowing he couldn’t afford to miss his second opportunity to wear the green and white kit for the first time in his young career. 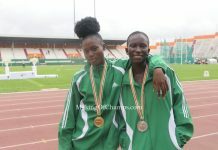 Ekpekpe will now join his club teammates, Bowofoluwa Egbeyemi and Blessing Oladoye, who would also be making their first international appearances for Nigeria when they compete in Abidjan later this month. Going to the Championships in Ivory Coast, Ekpekpe would undoubtedly be one of the favourites to finish on the podium, especially when you consider how he easily met the qualification standard of 21.5 / 21.74s. Clocking a then PB of 21.97s at the National Junior Trials in Ozoro when he was still 17, it was a performance that saw him become the third fastest Youth (U18) Athlete in Nigeria last year. However, with his recent performance, Ekpekpe has now moved up the ladder as the fastest Junior in the country in the 200m this year. It is pertinent to note that this is Ekpekpe’s first 200m race of the season, and he started it with an impressive 21.44s. He will surely improve as the season progresses, and maybe even go under 21s sooner than later. 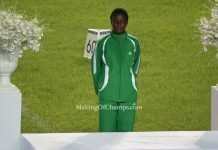 From being a prospect in 2017 when he newly joined Making of Champions Track Club, to being an established Junior athlete in the National Team setup, Ekpekpe has steadily worked his way up the chain. 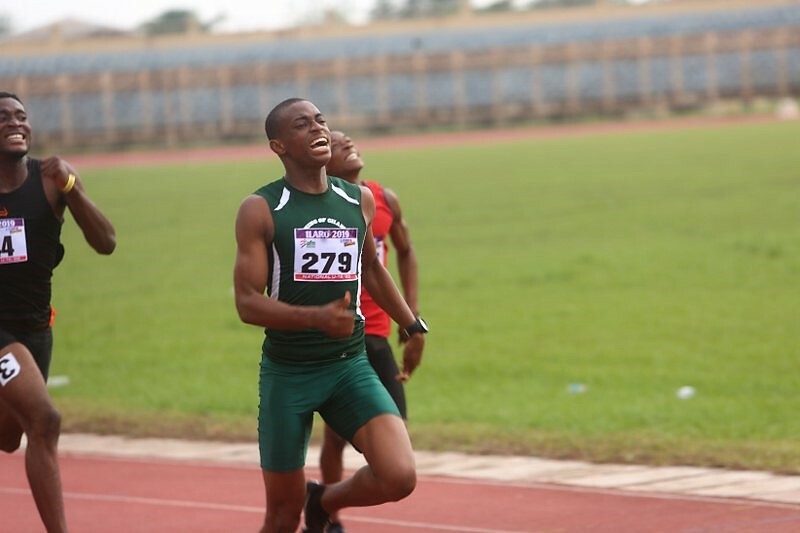 The recognition didn’t come easy, but it’s testament to how hard he has worked to get to where he currently is, progressing from being a 200m semifinalist at the National Youth Games (NYG) in Ilorin in 2017, a Bronze Medallist at the National Youth (U18) Championships in 2018, and now a National Junior (U20) Champion in 2019. Quite a good career progression to make in less than two years. 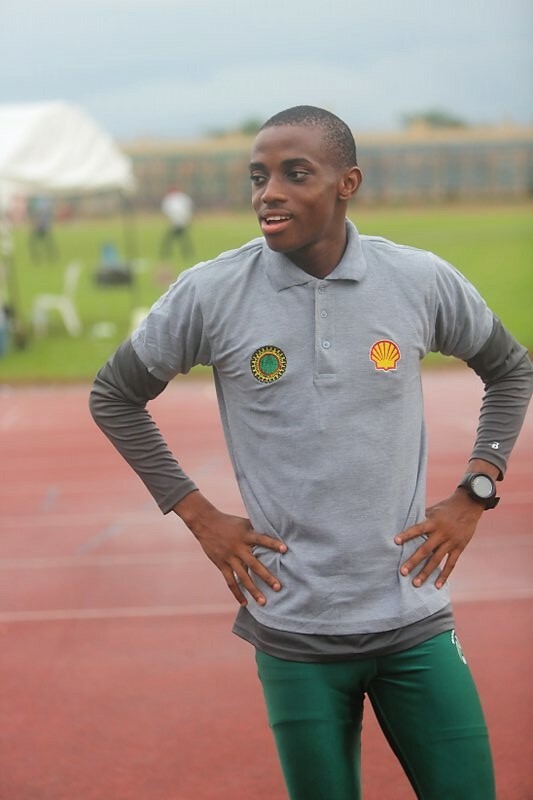 Earning a Shell Scholarship has also been of immense help to Ekpekpe who moved from Ughelli to Lagos in pursuance of his Athletics dream when he was only 16. It is all happening very fast for him, and it could even get faster as Favour might be looking beyond the African Under 20 Championships in Abidjan this year, maybe even taking a long gaze at the African Games in Morocco. At this stage, it seems like a long shot, but going by his recent successes, Morocco is not far-fetched.